Welcome to 490 N Civic Drive #322! A fabulous penthouse corner unit that enjoys the rare feature of two decks! Located on the 3rd floor with no one above, the location has a very private setting to enjoy. The kitchen was recently updated with stainless steel appliances, new Quartz counters, sink and disposal. The bathroom has a new dual sink vanity with Quartz counters. The living room has access to both decks and a large storage closet. The adjacent dining room combines the living area to create a spacious area to entertain. Fabulous amenities at the Keys that include Swimming Pools, Gym, Clubhouse, Tennis, Basketball and so much more. 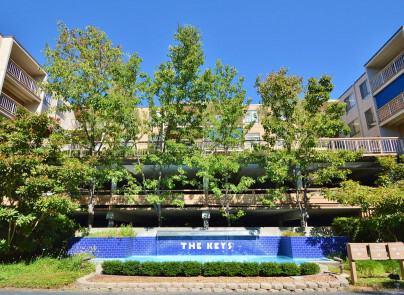 Convenient location near downtown Walnut Creek, BART and freeway access!